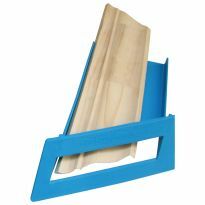 Great for installing both crown and base molding. 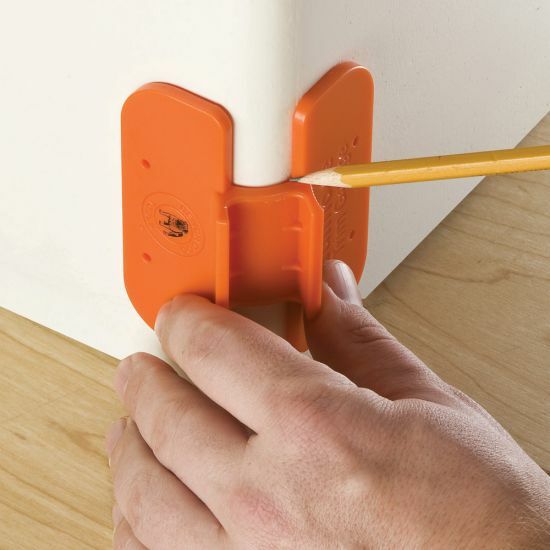 Simplify trim work on 3/4" rounded drywall corners with this clever jig. It helps layout perfect lines for tight-fitting three-piece corners. Plus, if you're working alone you can nail it in place to anchor your tape measure. 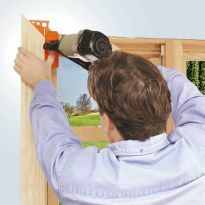 Great for installing both crown and base molding. 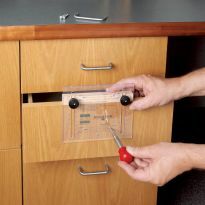 Durable hard plastic construction will hold up to years of use. Ordered it! Used it! My bull nose corners look amazing! This quality product will save a lot of time when trimming bullnose corners. In my opinion the Rockler Bench Dog bull nose time gauge works fantastic! I would highly recommend it. Good quality tool. Makes corners very easy. Highly recommend! 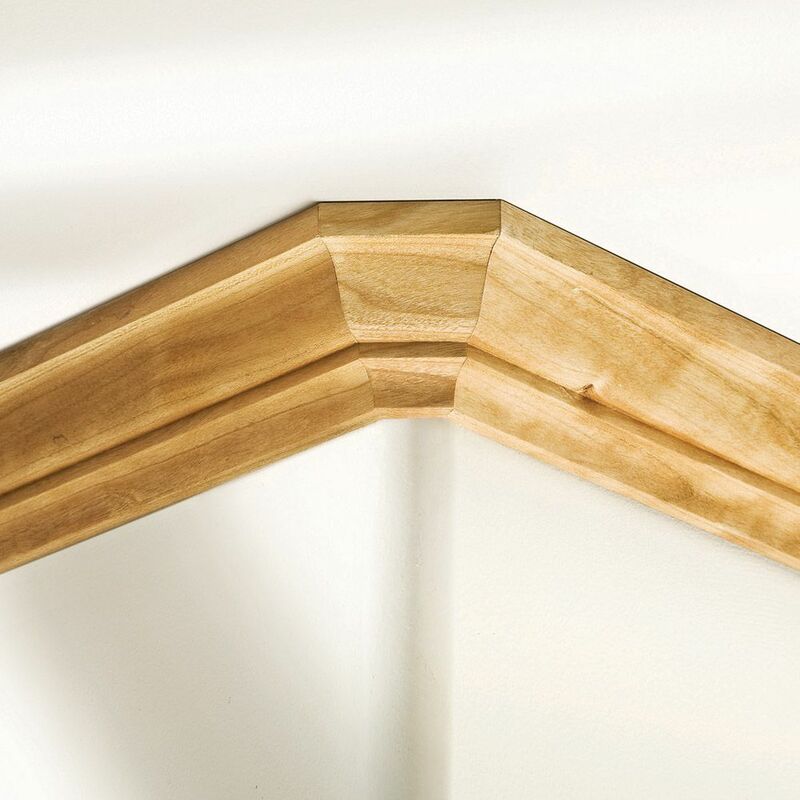 Get this if you’re doing base or crown molding. Worth the money although could be cheaper for a piece of plastic. As a general contractor and finish carpenter I was at first skeptical about the tool after using it was a good investment. I purchased this as I’m updating my shoe molding on my floors. It’s gonna mark the job so much easier. Great tool I can't believe it took so long to get one! This simple little tool has made the molding a lot easier than expected. It made the bullnose corners easy for an amateur such as myself. I would highly recommend this to anybody doing trim with bullnose corners. Super useful tool that helped manage those outside corners! Great product and reasonably priced. I can not even imagine doing trim work anymore without this handy tool. Has a permanent spot in my toolbag now. For those who like to work alone, and those who don't, this is one of the most handy tools a carpenter could have. Really worked as advertised. Did not have to make nearly the number of fine cuts to get a proper fit. This is a “KEEPER”. Outstanding tool save lots of time . Didn’t,t loan it out or it will be gone for sure. Really like how easy it makes it for finding ur measurement of a bull nose corner. Fantastic tool for doing this job. We are heavy in the thros of Harvey House recovery programs, and this tool is a wonderful addition to the process. Made installing 45* moulding corners quick and easy. Took a couple of practice cuts and then the job went smooth. This tool makes the job of running baseboard over bull nose drywall corners go quickly. I still do not like bull nose corners but this tool makes trimming them easier. Very impressed. Easy to carry when measuring base. I've been a finish carpenter for 30+ years. Always looking for easier, more efficient ways to do things. 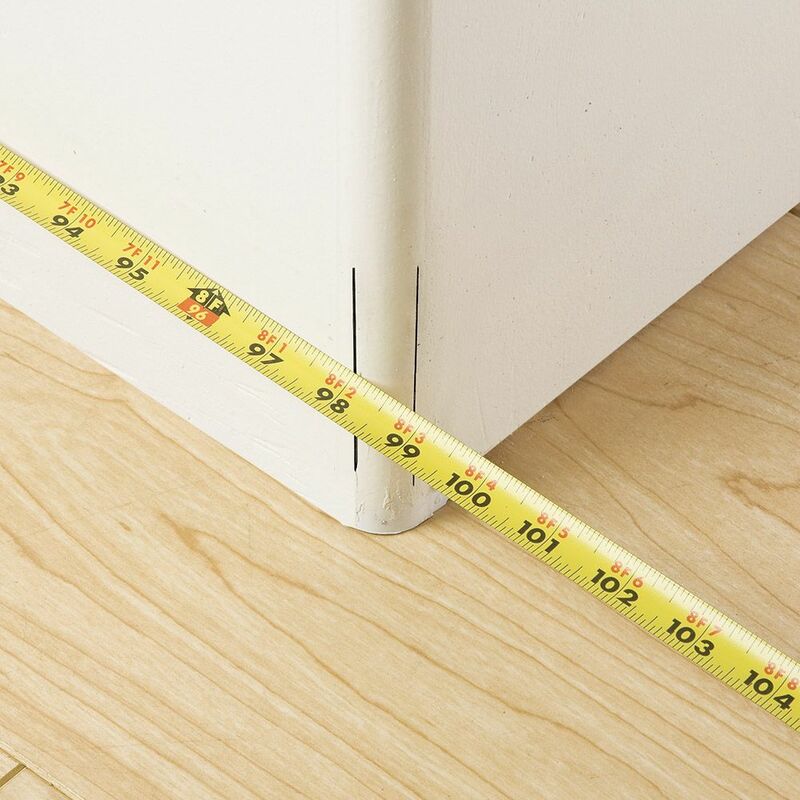 This guage takes the guess work out of measuring base for rounded corners. Great product, I highly recommend it. 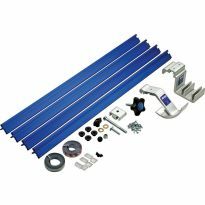 i have the bora miterix for doing base boards and the bullnose trim gauge complement it. I have a lot of baseboards to do and I have had friends who have seen what I have done and want me to rip out their boards and fit new ones for them OR lend them mine for them to use NO WAY I might never see them again. I was pulling what little hair I have out trying to figure out how to measure and cut these corners on new oak base. When I saw the gauge I hoped it would help. I am finishing my project and it would have been a lot harder without the gauge. You still have to measure and cut carefully, and not all walls are square and plumb. I am glad I got it. Pretty helpful little tool. Not perfect but does help you find the location of the 22 corner block. If the bullnose is rolled flat it doesn't keep the block close to the corner but that is not the fault of this tool. Good tool, will come in handy over the course of my re model project. This tool was super helpful. I was able to measure more accurately and make the right cuts. If your walls are not perfect 90's you may have to adjust the 22.5 degree angle depending on the angle of your walls. Saves time and gives a great starting point. 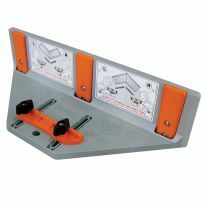 Great utility tool, save me time and its very important tool on carpentry. Highly recommended for custom homes. I so happy with this tool. These work perfectly for accurately marking the walls for cutting base, crown, and chair rail. Was able to mark out the entire house with this in about an hour (6600 sq.ft.). Works as described. Significantly improves the speed in making the corner. Ahh at last a small tool to aid me in correcting every corner transition in our NEW house. I am brand new to the world of production style home building and the "piece workers" doing the building??? If I can dignify the methods involved. That being said short of removing and replacing all of the interior trim this little tool will allow me to mark and cut with oscillating saw and install premade bullnose trim pieces. Oh Ya we be HAPPY! My husband loves this product. Makes trimming round corners so much easier and less time consuming. Thank you for having what he needed. Totally would recommend this tool to any carpenter. Consider this one a no brainier! Yes, you can probably sight it in without one of these but you would have to be quite experienced to be able to do it quickly. I was able to mark 8 corners in like 2 minutes total. A real time saver! Simple jig with a great use!! What a simple jig for a really great outcome! These tools will make finishing my family room a breeze. I saw this on YouTube and it looks good. The reviews were terrific! Hoping t works as well as everyone says. 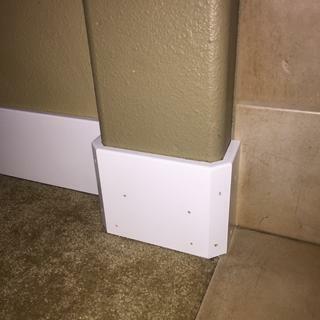 Seems like a time saver when installing baseboard with 3 pieces corners. Installing baseboards in the entire downstairs of our house. To make my life easier. Hoping to speed up the baseboard I'm laying on the main level of my house. My husband can real use a tool like this, and it can also help him with the list i give him for the house. This was recommend by a friend that has one. Replacing 360' of 3.25" base molding with 5.25". All outside corners are 3/4" bullnose. The old molding had bullnose corner pieces but I will be making my own three piece corners. This jig should make that job easier. 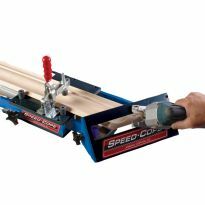 This jig looked like the best way to get consistent cuts for installation of baseboards on the rounded corners of my walls that need a bullnose. Just did a job that had bull nose base boards. Saw YouTube demo, seemed like a no-Brainerd to get one. 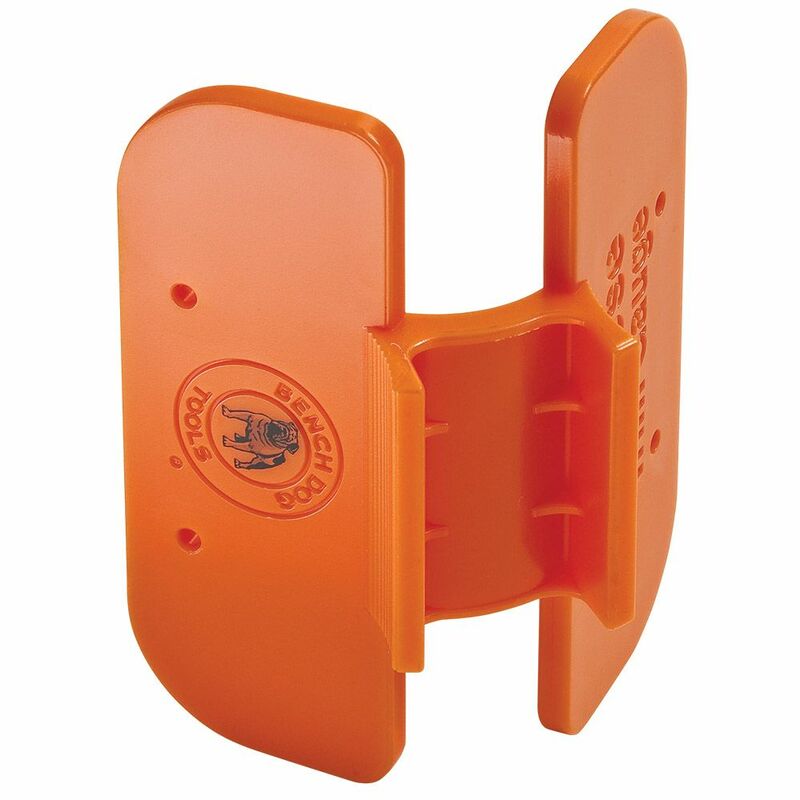 An absolute must have for running base, chair rail and crown moldings. Recently had a home built with bull nose corners throughout. I saw this gauge and thought how much easier it will be to use this device. We'll see! Saw this on you tube. This made the corners so much easier to do the baseboards. Can’t wait to use it. Easy to use ,saves a lot of time not having to measure. It's a very simple product, yet makes corners fast and efficient. I just did base molding and chair rail trim in a basement with bull-nose corners. I am hoping this saves me time. 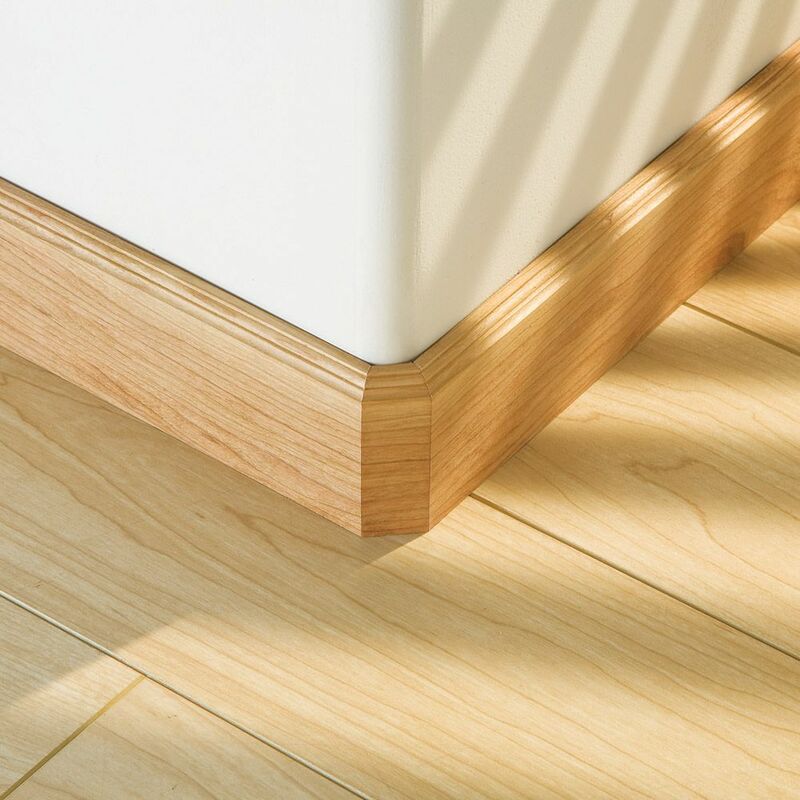 Have lots of baseboard that need rounded corners. Done them all in 2003 then House was flooded. I remember how time consuming it was the first time. This looks to be a necessity. Tired of dealing with the premade corners that never fit well. From what I have seen this tool allows me to make pieces that fit making the job quicker and easier. I purchased to help me make accurate base molding cuts with 3/4 inch bullnose corner bead. Using the bullnose trim gauge...I line everything up and fits great. When I nail the midle bullnose piece, it shifts and is a little off. Happened 5 out of 5 times. What am I doing wrong? BEST ANSWER: Just nail the side pieces and glue the center piece to the sides. Nailing into curved metal can cause the small trim to shift. Thanks Ted, I will give it a try. 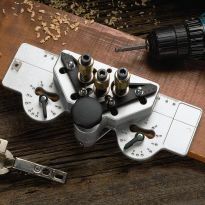 Can I use this tool to cut out the middle piece? BEST ANSWER: No, you can't. However, the instructions are very clear on how the piece needs to be cut. The middle piece is always the same size. The instructions printed on the back of the packaging tells you that size. will this tool help with 22.5 degree inside and outside pieces? BEST ANSWER: Yes. This tool makes bullnose corners easy. Just follow the simple instructions and you can’t go wrong. Will this work on square corners not bullnosed?